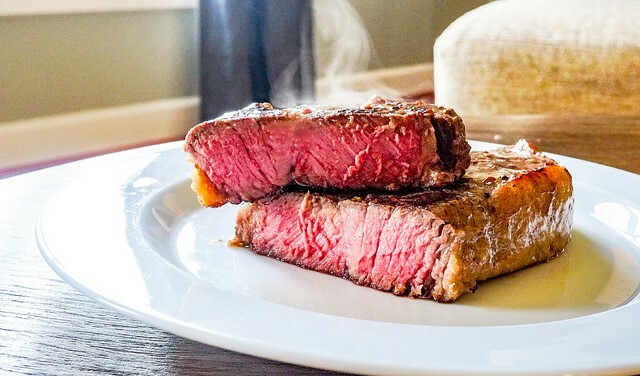 The appearance of such an original dish as a steak, which is extremely simple and refined at the same time, has its own history, where the real facts and legends are miraculously intertwined. However, according to popular opinion, it’s believed that the US is the birthplace of the steak. The collection of this steakhouse offers about 2300 various wines, and the menu lists an extensive collection of steaks from dry-aged meat. Pappas Bros. is located at 10477 Lombardy LN, and car rental in Dallas will be the best way to find it. Founded by people from Greece in 1967, the restaurant is still owned by representatives of Pappas dynasty. However, the steak house is only part of the family empire, which also specializes in seafood restaurants, and burger houses. The establishment features a classic interior including wooden details, copper plafonds, as well as black and white photos on the walls. Most steaks are cooked from Australian and American marbled meat, but in the “meat menu” you’ll also find steaks from English, Scottish and Irish beef of such breeds as Aberdeen Angus and Hereford. One of the oldest steak houses in New York was opened in 1885 and still retained a respectable atmosphere of the XIX century. As in any steak house, the main thing there is meat of the highest quality, from which excellent steaks are prepared. The restaurant can also please the visitors with an excellent selection of whiskey. Meat is served with fried potatoes, tomatoes, bacon slices, salad, bread and special sauce. The interior of the establishment is no less interesting: the entire ceiling and part of the walls are adorned with a collection of smoking pipes that includes about 50,000 copies. Some of them belonged to famous people, one of whom is the 26th US President Theodore Roosevelt. 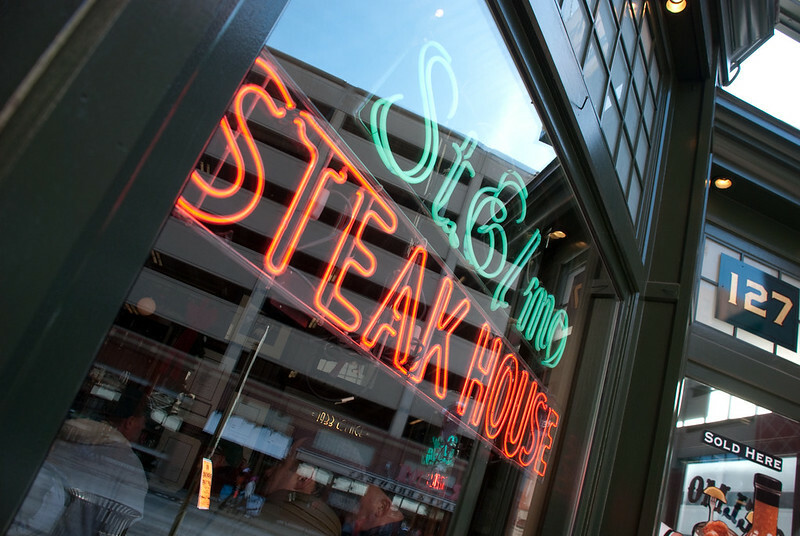 Over the course of more than a century-long existence, St. Elmo Steak House has turned from a traditional steak house into a fashionable restaurant. This place in Indianapolis is loved by many celebrities for an excellent steak with Blue cheese. However, the restaurant can proud not only of its meat dishes, but also a rich choice of seafood. And it’s no wonder, because it was named after St. Elmo – the patron saint of seamen. The establishment is known for excellent service (you can even get acquainted with the profiles of all the waiters on the official site), as well as the decoration of the bar area, where you’ll be able to watch the cooking process in the kitchen. In this Chicago-based steakhouse, beef steaks of Aberdeen-Angus breed are local favorites. The chef cooks the best steaks in the city from the delicate, fragrant meat of the Scottish cattle. In addition, the restaurant offers its customers huge portions and always fresh seafood. In fact, there’s one restriction on getting into this culinary paradise. 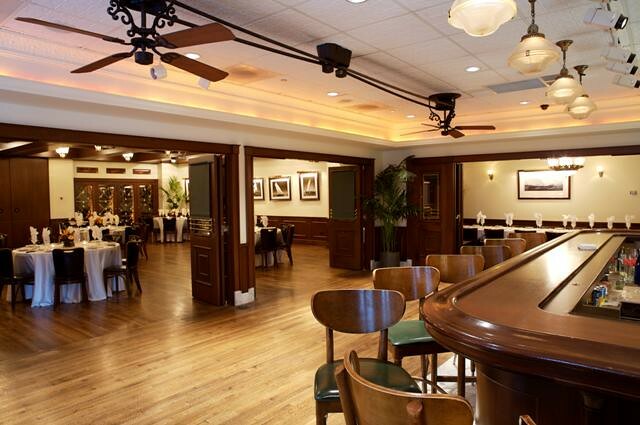 Men are forbidden to appear in Gibsons Bar & Steakhouse in sleeveless t-shirts. Of course, this is a small fee for the opportunity to taste some of the best steaks in the world! 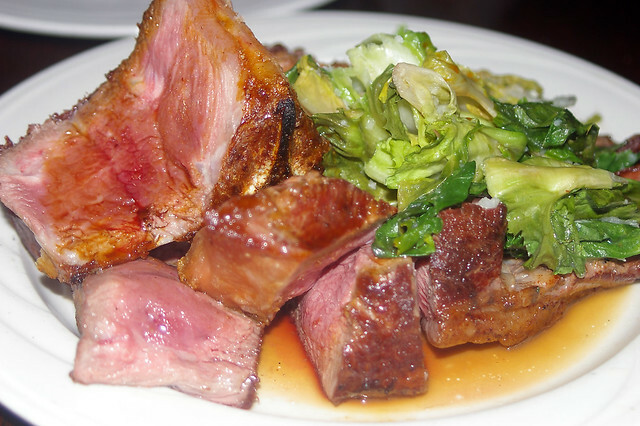 The main dish of the best steak house in the Sin City is a steak from dry-aged organic beef. The high quality of the dishes is guaranteed by the well-known chef Mario Batali. Hence, you’ll find the Italian accent both in the menu and in the design of the restaurant. In the atmosphere of a luxurious Italian palazzo, you can order not only steaks, but also traditional Italian snacks, hand-made pasta and choose wine from a rich wine list. Also, there are several vegetarian pastas to choose from. Cut is located on Wilshire Boulevard. It collected many good reviews, including three stars from the LA Times in 2006, and James Beard Foundation Award. 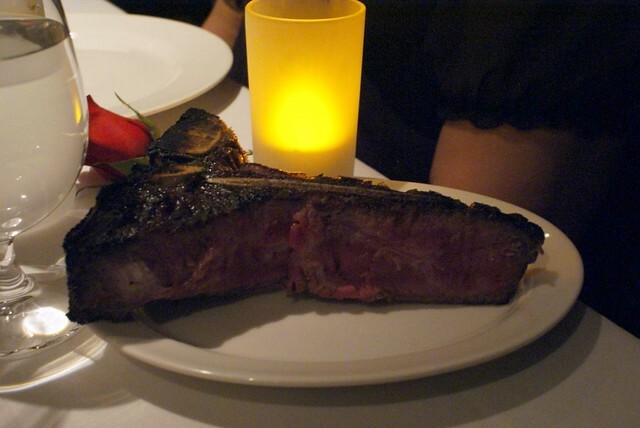 Also, Cut was named America’s № 1 steakhouse according to the Daily Meal, and took 10th place in the ranking of the famous restaurant critic Jonathan Gold. The basis of the menu is, of course, steaks (from $50), accompanied with a good choice of sauces. In addition to meat, the menu includes salads, snacks and side dishes, consisting mainly of potatoes and vegetables. In a separate bar menu you will find author’s cocktails, as well as a vast selection of beers. Before visiting Cut, book a table in advance, and get prepared to wait for your order about half an hour – the service is quite slow there.